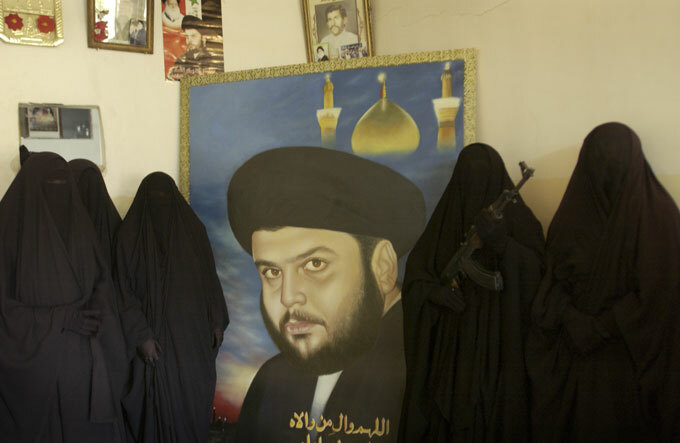 Followers of Muqtada al-Sadr pose with a portrait of their leader. The women assist the Mahdi Army by supplying the fighters with food and other support during battles with U.S. forces. They say they are willing to fight for the militia if the need arises.